The CNC 4×4 Club meetings are conducted quarterly, on the second Saturday of the meeting month from 10:00am to 12:00 noon. All (Guests, Members, Prospective Members) are welcome to attend. Come on out to learn more about our club. The meeting months are January, April, July, and October. Raleigh Leith Jeep Dealer (Chrysler/Plymouth/Jeep). 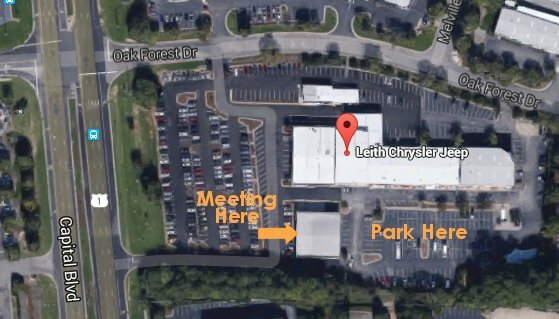 The Leith Chrysler Jeep Dealer is located on Capital Blvd.